Every experience is now a software experience, which means application performance management (APM) needs to get out of the blame game and stop firefighting. In an era where even the soda machines are connected to the cloud, said Chris Kline, VP, APM product management for CA Technologies, organizations need better tools to actually help solve problems rather than display what is happening in a slick fashion. In a recent Webinar, Kline likened the pressures driving changes to APM tools to the upheaval of the industrial revolution rather than another tech boom, as so many experiences, even attending a modern facility for a football game such as the new Levi Stadium, has become a digital experience, where patrons order food and drink using a smartphone app and even replay a moment from the game at their seat. “We call it the application economy,” he said. Beautiful topography of an IT infrastructure always looks good and makes it easy to admire the problem, but it doesn’t necessarily provide a course of action. “It’s not a sustainable path,” said Kline. 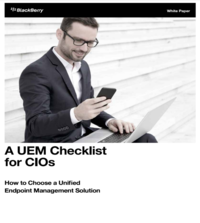 The APM market has shifted because of the sheer volume of things that have to be monitored, he added, and the challenge is to maintain simplicity in a large, heterogeneous environment.